ANOKA, Minn. – Federal Premium Ammunition announced Cathy Lynch of Kent, Washington, as the recipient of the 2016 International Hunter Education Association-USA (IHEA-USA) Volunteer Instructor of the Year Award during the 2017 IHEA Annual Conference. Lynch has been a certified Hunter Education instructor for over 10 years and in 2016 held 17 hunter education courses and certified 528 students. She covers a vast range in Washington state and enjoys hosting other events partnering with conservation organizations, NRA and the Boy Scouts. The respected award was presented to Lynch during the IHEA Awards Luncheon. The 2017 IHEA-USA Annual Conference, was hosted by the OregonFish and Wildlife Department May 22 to 24, at Glenedon Beach, Oregon. Federal Premium has sponsored the IHEA-USA for more than a decade. Federal Premium is a brand of Vista Outdoor Inc., an outdoor sports and recreation company. For more information go to www.federalpremium.com. For more on IHEA-USA and to learn how you can help support the future of hunting and hunter education, visit www.ihea.com. 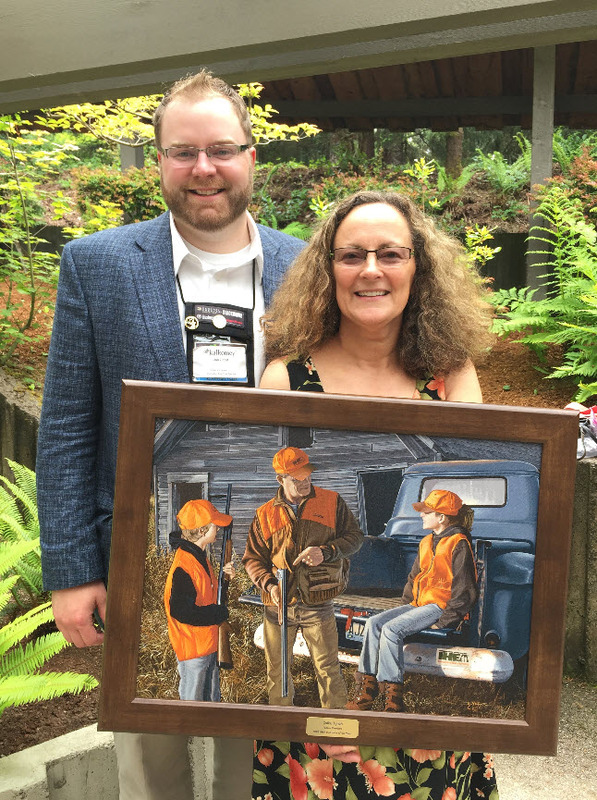 PHOTO: Jon Zinnel, Education Specialist for Federal Premium Ammunition (left) presents Cathy Lynch of Washington (right) with the 2016 IHEA Instructor of the Year Award (art print).